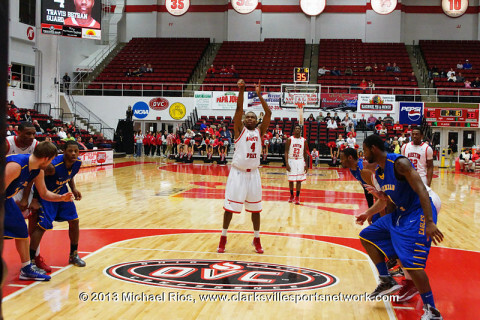 Clarksville, TN – In a tale of two halves, Travis Betran’s three-point bucket at the overtime buzzer lifted Austin Peay State University to an 84-81 victory, Wednesday night, against Morehead State in Ohio Valley Conference action, snapping the Governors’ eight-game losing streak. The victory put APSU at 5-12 overall and it also was its OVC victory, putting the Govs at 1-2. It was APSU head coach Dave Loos’ 450th career victory.